This camera has an extremely wide lens, which allows for a lot of the videos to have a fisheye look to them. However, if the fisheye effect does not appeal to you, it can be removed. Additionally, because the lens is so wide, most of the shots will have a lot of stable focus, which is great because the camera itself does not have a manual focus. These cameras can go through a lot–including water! 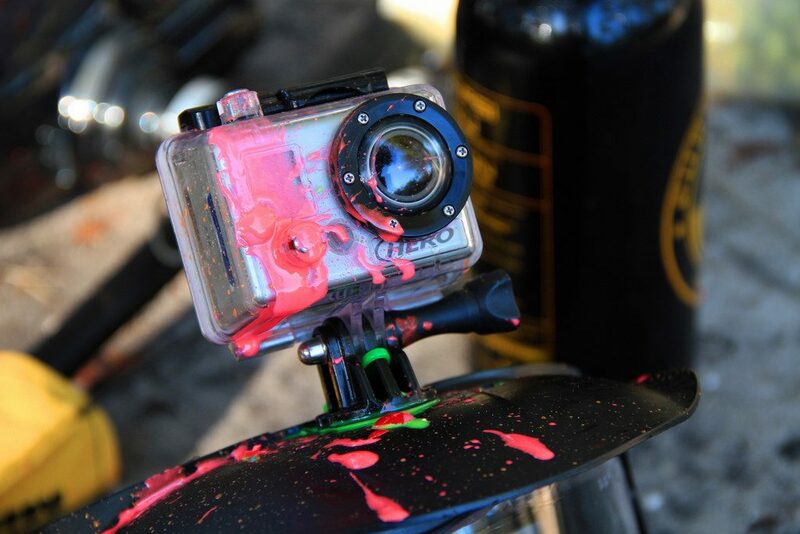 If you are headed somewhere with a lot of dirt or water and you are worried that it might ruin your camera, there is no need to worry about a GoPro; they are designed to handle it. Even underwater, GoPros can capture some very high quality photos and videos. These cameras small, lightweight, and compact, which is perfect for traveling. If you are headed out on a vacation, but do not want to worry about lugging a big camera along with you, GoPro cameras will definitely do. Whether you want to change the megapixels or the frame rates, the GoPro can allow you to adjust your settings depending on the kind of shots you want to take. This is very important for this kind of camera, especially if you are looking to use it for different projects. GoPros can be used for a variety of different shots. Whether you take them surfing, biking, or ziplining, you can use different mounts to ensure the camera is safe and the shots are stable. If you decide to take the camera on a hike or a swim, there is a handheld attachment to make for some steady, wide shots. Get out there and capture your adventures!